It’s May and that means, without a doubt, that it is Spring! 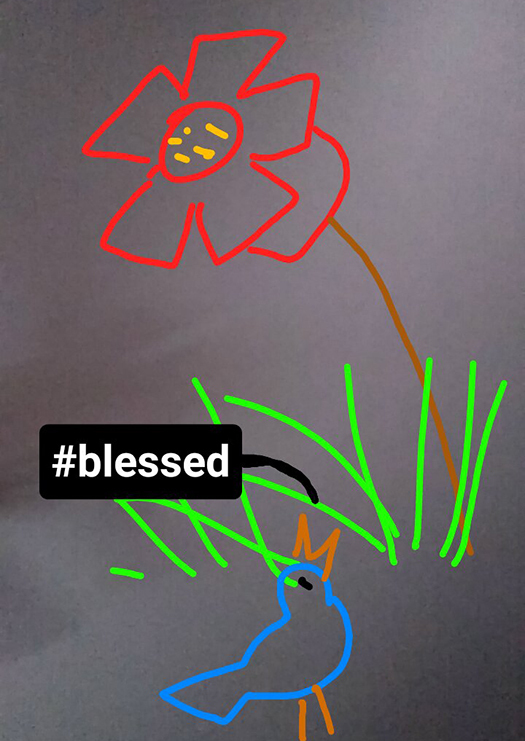 The birds and the butterflies and bees are coming out, along with the flowers, grass, and big leafy trees. 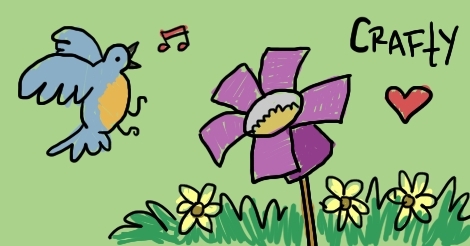 Well, today we’ve got a simple craft you can do to make an adorable bird feeder just in time for your local feathery pals to visit and have a snack. This craft is brought to you by our nonprofit charity Wilder Friends, where we help bring bird feeders and butterfly gardens to public places and to organizations who need it. 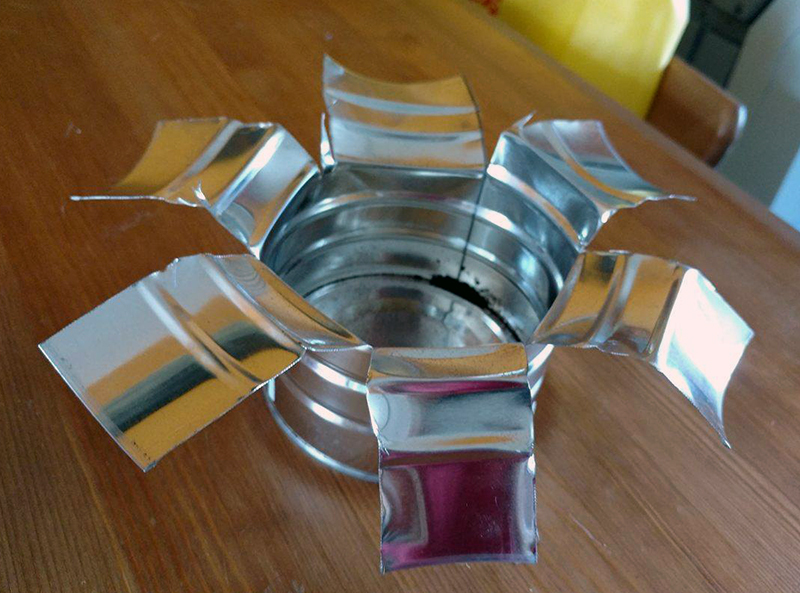 You can make this small feeder in just a few steps! It’s adorable and easy-peasy. 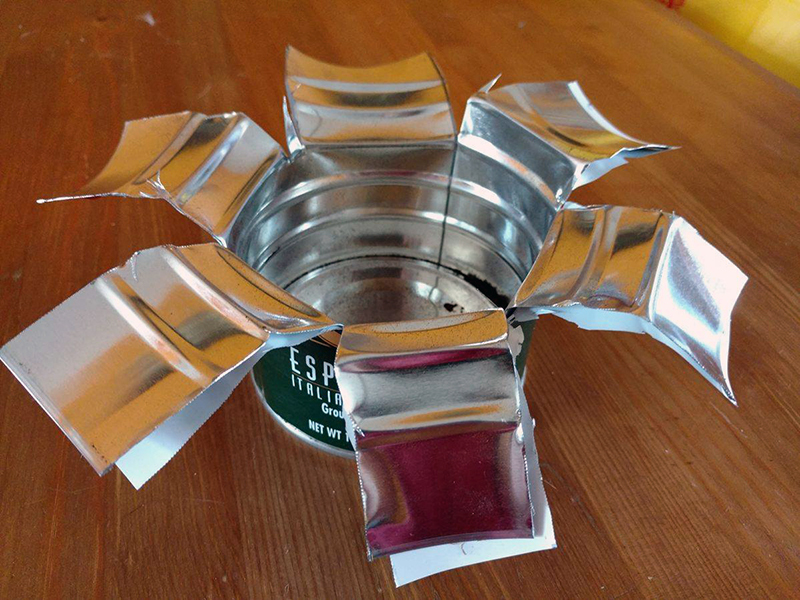 And you can spruce up your garden with a few tin flowers. I apologize for my shoddy photos, and for not having one of the finished project. 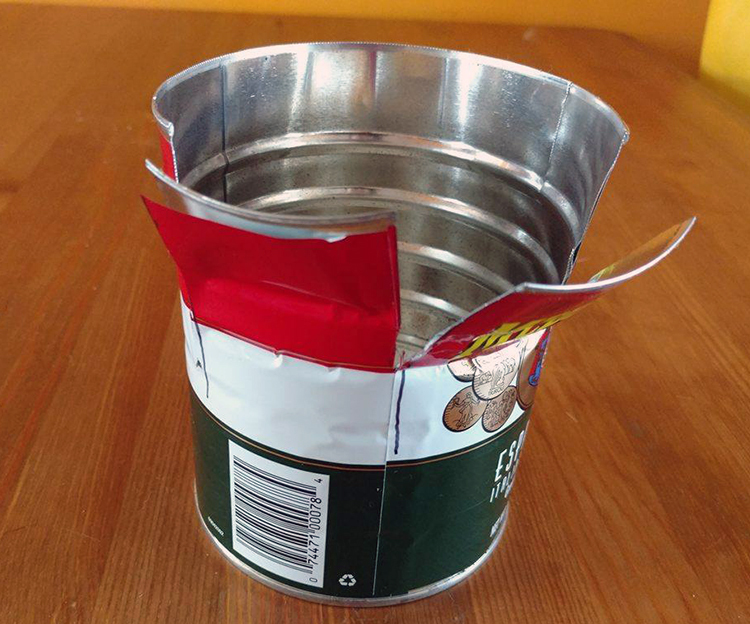 Cut off one end of the can (generally accomplished when you use whatever was inside of it) and make sure the edges aren’t too fat, so the cutters can get through. Decide where to put the petals. 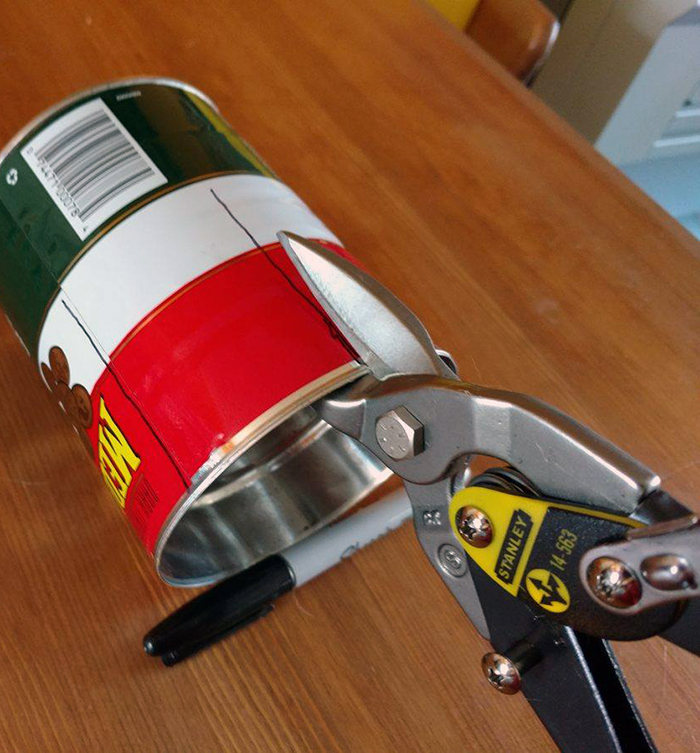 You’ll be cutting a bit more than halfway down the length of the can. I recommend doing 5 or 6 based on the size of your can. I used a big one because I thought I was slick, but it was harder to cut! Be very careful! This should not be done by children or drunk people. Use gardening gloves if you are worried. 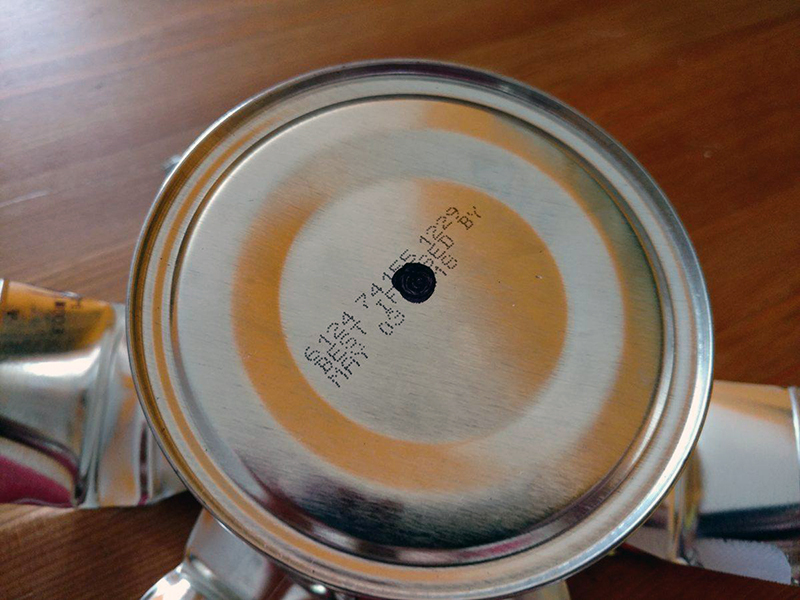 I left the label on because it was easier to mark the lines with a Sharpie, but make sure to take that part off. This is one of the most fun parts, but be careful! Cutting tin is of course going to make it pretty sharp and a little dangerous. You should first cover the petals in duct tape, over the sharp parts at least. You can paint right on top of that. 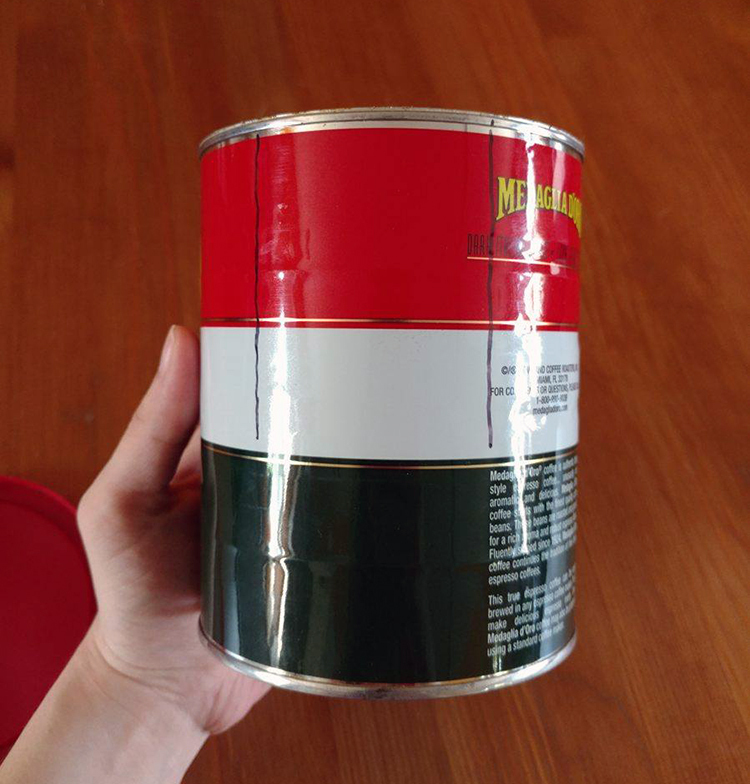 To make the can bird-friendly, make sure to use water-based paint! I didn’t have any dowel rods, or even a garden for action shots, but this is a pretty accurate depiction of what will happen before the squirrels come and tear everything down without a care in the world!